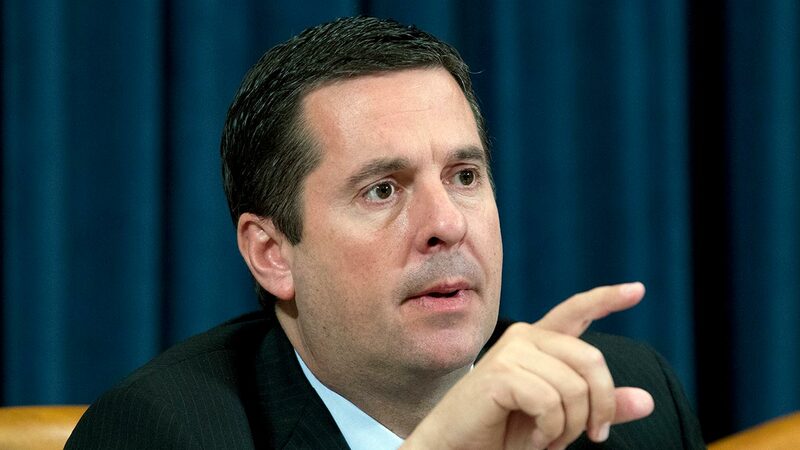 FRESNO, Calif. (KFSN) -- Rep. Devin Nunes (R-Tulare) said on Wednesday that Deputy Attorney General Rod Rosenstein granted access to a "Electronic Communication" which Nunes claims started the FBI's Russia counterintelligence probe. The existence of the two-page document was leaked by the New York Times and Washington Post in December last year. However, Nunes says only a mostly redacted copy was officially released to the House Permanent Select Committee on Intelligence, which Nunes chairs. Nunes appeared on FOX News on Tuesday night and said that they planned to hold FBI Director Christopher Wray and Deputy Attorney General Rod Rosenstein in contempt of Congress and impeach them. "I can just tell you that we're not just going to hold in contempt, we will have a plan to hold in contempt and to impeach," said Nunes during the interview. In a statement on Wednesday, Nunes said he and Chairman Trey Gowdy were given access to a version of the memo that contained the information necessary to move the committee's investigation of the Department of Justice and FBI forward. "After numerous unfulfilled requests for an Electronic Communication (EC) related to the opening of the FBI's Russia counterintelligence probe, Chairman Trey Gowdy and I met this afternoon with Deputy Attorney General Rod Rosenstein. During the meeting, we were finally given access to a version of the EC that contained the information necessary to advance the Committee's ongoing investigation of the Department of Justice and FBI. Although the subpoenas issued by this Committee in August 2017 remain in effect, I'd like to thank Deputy Attorney General Rosenstein for his cooperation today."